In this paper, I aim to address the critique upon the sharing economy as it raises from Daniel Cockayne’s work Sharing and the neoliberal course (Cockayne, 2016). My contention is to show how Cockayne’s critique stems from a broader tradition rooted in Marx and further developed by Foucault and Deleuze and together constitutes a course of critique that is, from my perspective, essentially dystopian as it strives to shed a unilateral light upon capitalism, neoliberalism and its latest confluence with the sharing economy. I will begin the discussion by singling out Cockayne conceptual framework in respect to the struggle over the discourse as a form of power. I will then discuss the social digital media as the broader context of the sharing economy and extract a few essential insights out of it. Then I will unfold the conceptual references that Cockayne conducts to Foucault, Deleuze, and Marx in order to comprise his critique and will raise a question regarding Foucault’s ambiguity upon human capital as a qualitative object. This ambiguity will be helpful to reveal an essential feature of both neoliberalism and the sharing economy. That essential feature will be illustrated during a discussion in which I will assist empirical evidence to refute Cockayne’s concern regarding the negative implications of the sharing economy. Lastly, I will suggest a social theme consists of three groups as a convergence of the earlier discussion over the social digital media and the one that follows over the sharing economy. Though I do attempt to refute the majority of Cockayne arguments along the way, my chief contention on this paper is to position the traditional dystopian critique within a broader context and to outline a non-dystopian course over it. In order to illustrate his conceptual framework, Cockayne puts forward on the second section a quote by Foucault taken from The Order of Discourse (1970) in which Foucault inspects the various restrictions imposed on the public discourse as a form of power. In that quote, Foucault claims that the discourse is not a subsequent product of a political or social struggle, rather it is the object of the struggle itself, namely, “the power which is to be seized” (Foucault, 1970). Armed with this insight as an interpretational framework, Cockayne wishes to unfold the concealed endeavor to redesign the terminology that designates the sharing economy. That semantic field that determines the meaning of the sharing economy is not restricted to the economic sphere rather it derives and absorbs its meaning from the broader domain of the new digital media sphere1. 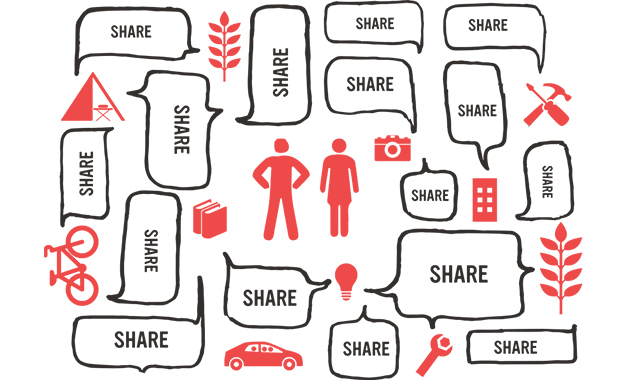 In order to adequately address the ambiguity around the employment of the term sharing in the sharing economy, we should first look into the broader sphere from which it stems, namely, the digital social media, and extract few insights for later use to apply on the particular issue in question. Nicholas A. John sheds light2 on the historical evolvement of the term share as stemming from the literal sense of ‘to divide’ and gradually absorbing various meanings. All which reference not only to sharing in the sense of property distribution but to a way of social communication “characterized by the qualities of openness and honesty, and commonly associated with the values and virtues of trust, reciprocity, equality, and intimacy” (Ibid). Not surprisingly, the term also bears a theological sense as sharing has been used by the Oxford Group to designate the action of public confession of sin as a “public declaration of weakness for the sake of redemption” (Ibid). Furthermore, John’s analysis of the contemporary usage of the term in digital media during the recent years shows a shift to broader use of the term share while substituting other technical alternatives such as update, post, and send. 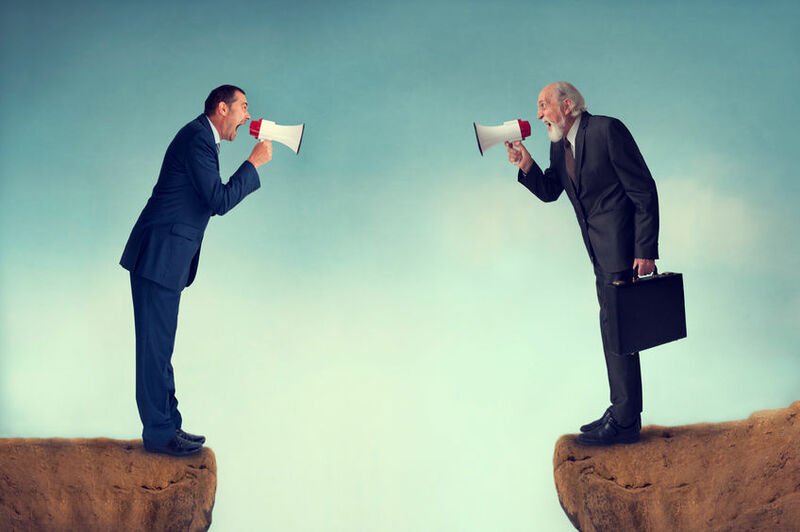 This entails the that the employment of the term share in digital media is not arbitrary rather it functions as both an imperative to action (‘share now’) and an indicator to what kind of speech should be taken as a preferred speech (‘share’ as an abbreviation to ‘share your feelings’). Since the vast majority of these digital platforms that are in broad and daily use commercial, it is not difficult to assert that the deliberate use of the term share rather than post serves their business model better as it drives more revenues. The more digital content is sensational, personal, or controversial, the more it is likely to rise social engagements. That is, to be digitally duplicated out of two opposite emotions – empathy or rejection, as either an authentic witness of brutal injustice claim or action, visual or textual, or as an object of intrinsic projection of one’s state of mind as a piece of supportive evidence. In this sense, both functions, positive and negative, may apply to the theological meaning that is unfolded in the conduct of sharing as a “public declaration of weakness for the sake of redemption‘ (Ibid). The social engagement that either approves or declines the confession substitutes the Catholic priest as the authority of both forgiving and judging father. In this sense, the social media platforms by bolstering the action of share rather than write or post address more profound human needs, not for the sake of heaven but for the sake of their own revenues. With this inspection, we are in fact considering the same ambiguity that was mentioned earlier by Cockayne but in a broader scope. We now shall figure out the kind of which this ambiguity belongs to, is it exploitative? Is it a mere concealed strategy to exhaust social engagement for the sake of private revenues in a unilateral course from top to bottom or is this ambiguity rather publicly transparent and broadly acknowledged among its participants? According to Alice Marwick (2010), there are various patterns of social media usage, all of which users post their content with a diverse degree of conscious while envisaging the target audience to whom they are referring to. Marwick’s queries on Twitter’s users outlines three different patterns of usage3. The first group consists of users who consider their actions as a mere self-manifestation, “I don’t tweet to nobody, I just do it to do it” (Ibid, p.6). Marwick describes this behavior as a denial of the very notion of audience as such, to use her words, “consciously speaking to an audience is perceived unauthentic” (Ibid). Nevertheless, in my opinion, the author overlooks an essential phenomenon of social media according to which although “they are not twitting into a void” (Ibid) the anonymity or neglection of the audience is an essential perception which functions as a void. Effacement of the audience’s identity indicates a process of self-reflection in respect to what previously described by John as a theological feature of the ambiguity. The non-facial audience perception corresponds to the Catholic confession in front of the father with transitive meanings in which this time the digital media as an apparatus and a mediator substitutes the father and the non-facial face of the audience substitutes God in its arbitrary or silent response. Furthermore, a pattern of constant use with no notable objective may indicate that one has adopted the notion of digital sharing so profoundly that it is unconsciously embedded into one’s identity, weaved or fused into its self-perception and self-image. To my perspective, this perception may occur among young users whose use of social media is so extensive that it has become their way of self-manifestation as second nature. These users, who have successfully swallowed the pill of a promise to a better world on the grounds of true sharing, who might lack the awareness to observe and restrain their dependence, may be subjected to a high degree of vulnerability due to other users reactions. Because these users fail to conduct the required distinction between the self realm and the digitally-shared realm, every possible dissension within this fragile digital interaction may penetrate into their self-perception, and hence harm their self-esteem and agitate their intrinsic world. However, Marwick study suggests that the vast majority of the users4 are armed with the acknowledgment of the social context and make deliberate and pragmatic use of the media within the tension between the authenticity prerequisite (which derives from the sharing imperative) and they wish to keep a safe distance from the audience to stay invulnerable and yet enjoy the advantages that the medium offers such as maintaining social opportunities, new social interactions and events, job offers, and participating in interesting conversations. These users constitute the two groups out of the previously mentioned three – small-scale users and medium to large scale users. Small scale users consider their audience as ‘friends’ and thus more likely to maintain strict barriers upon their audience extent. It is essential to point out that the term ‘friends’ itself bears ambiguity since it fused out of the daily and common sense of the term with its digital-baked meaning which is bound to the semantic field of share (Ibid, 6). However, this group of users practices awareness of the social context by imposing restrictions on who belongs to their audience which functions as a counteract to their personal exposure in order to reduce vulnerability and yet gain some of the advantages of participating in social media. The third group which consists of medium to large scale users practices a high degree of context and exhibit what Marwick describes as ‘micro-celebrity’ technique. It is a communicative technique that ‘involves people “amping up” their popularity over the Web using techniques like video, blogs, and social networking sites’ (Ibid, 6). This group of people shares common ground by promoting a particular end for their interest which makes the social media a mere tool in their eyes. This group consists of marketing professionals who promote third party’s ends for their living, public figures such as artists, politicians, companies representatives, publicists, and many more. Not only that this group is highly aware of the social-context it is also consistently acquiring the required skills to maintain a large-scale audience and thus knows how to make wise use of the media to gain the maximum in both social magnitudes and engagements to their benefits. Therefore this group manifests a clear counter sample to Cockayne’s claim that there is a unilateral exercise of power from top to bottom by the owners of the platforms upon the society. If the discourse is “the power which is to be seized” (Foucault, 1970) so as long as it is broadly open to participation anyone who is able to single out its guiding principles is also able to employ it for his own benefit. Yet full access to the platform’s algorithm and guiding terminology is restricted however a social digital platform should submit to a broad public consensus as of its source of legitimacy, otherwise, it will lose its source of power and dismissed by its alternative5. This alleged objectiveness form of operation should be sufficient to provide an equal opportunity to any social player to employ the system for his own good. (a) We found that the ambiguity of the term ‘share’ with its full semantic meaning does being exercised in an abusive way, on the expanse of the first group of users in inspection and for the sake of private revenues. (b) Whether the second group of users which manifest higher social-context awareness and impose restrictions upon their audience are subjected to abuse or manipulation is to put in question. Yet it is beyond doubt that they are less vulnerable with respect to the first group. Moreover, there are profound social benefits that seem to pale with respect to the disadvantages (these will be discussed in detail later on). (c) The third group successfully manifests a counter sample by which a deliberate use of social media leads to self leverage, accelerates social mobility and thus is able to eliminate Cockayne’s unilateral picture of an exercise of power onto a more complex and diverse picture. Cockayne links the on-demand economy to the broader scope of the digital media by claiming that the appealing force of sharing as an inclusive promise of social justice might be applied to the employment of individuals “as an infinitely available commodity for on-demand purchase with barely any value” (Cockayne, 2016, p.75). Cockayne conducts an essential distinction between labor-power and digital commodity. While the former, he asserts, is a valuable asset derived from individuals’ work, the latter is infinitely available, duplicable and consumed as a mere means by-demand. Cockayne claims that applying a sharing discourse/promise upon the economy entails the nullification of the essential distinction between those two (Ibid, p.76). What is perceived in the broader scope of the digital media as a promise for authentic relationships and sincere discourse is now deceitfully interpreted as a promise for new job opportunities, “entrepreneurial mode of flexible work’” (Ibid, p.75), a higher magnitude of freedom and an ultimate unleash from employment slavery. But Cockayne is not simply putting forward his criticism, rather he leans it on a profound critique by referring to Deleuze, Foucault, and Marx. Hence in order to properly address it, let us unfold the grounds of his critique one at a time. Cockayne uses the term dividual coined by Deleuze to designate the employment of the individual as labor work with the on-demand economy. Deleuze’s work (Deleuze, 1990) derives and closely interwoven to Foucault’s notion of the disciplined society. The disciplined society is a subsequent product of the gradual penetration and absorption of the panoptic schema over Europe during the late 17th and along the 18th centuries. The panoptic schema implements the guidelines of the Panopticon as a “utopian form of the exercise of power” (Foucault, 1975, p. 205) which aim to practice ultimate social surveillance with the highest productivity and lowest investment due to its genuine architecture. The multiplicity of schools, factories, hospitals, monasteries, prisons and more. All of these practices the panoptic schema since they are highly effective in controlling a scattered and mixed crowd of individuals into an array of isolated individuals who are subjected to direct supervision, measure, and observation by a single (or multiple) observer whose presence is irrelevant to its source of power. The individual is subjected to constant surveillance under all of these apparatuses which constitute what Deleuze calls “environments of enclosure” (Deleuze, 1990, p.3) that never ceases to exercise its power over the individual during its life course. Now, Deleuze suggests a new paradigm on top of Foucault’s work that surreptitiously undermines these social edifices but yet preserves its essence as a technological form of power, namely, societies of control. Whereas edifices of an enclosure are based on patterns (“molds”), societies of control based on modulation. (Ibid, p.5) To put straight forward, it is no longer required to surround one with physical edifices of power since technology is already governing one’s life essential aspects. The raise of the digital age has lead to the emergence of increasing number of aspects of life as a digital interface to a degree that overlaps and even substitutes the conventional edifices – the bank, the post office, social encounters/conversations, workplaces, and even educational institutions. Whereas discipline is applied through watchwords (Ibid, p.5), societies of control use codes (software locked with binary codes) and passwords (used to lock services) to achieve discipline through compartmentalization. Due to the accumulation of myriad quantities of data as a result of a constant trace and record of individuals digital activity, it is now possible to deny and allow access according to specific aspects of individual’s activity, which results in further modularity not only as a further division from groups to individuals, but from individuals to dividuals, that is, a machine determination of one’s characteristics regardless of its physical identity. To use Cheney-Lippod words, “Algorithms allow a shift to a more flexible and functional definition of the category, […] while it also re-essentializes gender as a statistically-related, largely market research-driven category. Gender becomes a vector” (Cheney-Lippod, 2011, p. 170). These digitally formed characteristics, strive to allocate a definition of a category that is loaded with a functional-economical sense on the expanse of the social conventions. All these digital characteristics constitute a new identity, namely, an ‘algorithmic identity‘ (Ibid, p. 165) that sovereigns the new digital realm and thus also self-echoes into one’s self-perception. We hence witness the possible collapse of the individual identity in its social sense6, to a digital module within a complex worldwide network of labor-as-digital-commodity, namely, the sharing economy. The second pillar on which Cockayne leans is attributed to Marx and Foucault. The notion that labor is to be perceived “as continuous, not distinct” (Cockayne, 2016, p.80) finds its grounds on Foucault’s work The birth of biopolitics (1978-89). Foucault thoroughly discusses different implications of the American neoliberalism as a political exercise of power as part of his long inquiry of social discipline forms. Foucault points out that the notion of human capital is so significant because it consists the “the extension of economic analysis into a previously unexplored domain”7. and hence it gives an economic interpretation to a non-economic sphere. The notion of human capital at the heart of the neoliberal doctrine gives rise to the perception of man as homo economicus, that is, a man that no longer merely employ a major portion of its time resources to work in order to gain a wage within a restricted time frame, rather dedicates his life course to self-enhancement while accumulating experience and knowledge in order to become itself the source of capital that is capable of gaining incomes through multiple streams. Perhaps the fact that nowadays education is almost entirely devoted to acquiring not fields of interest but more to practical training as a means to increase one’s earning capacities designates the shift to a neoliberal society in which the notion of human capital situated at its heart. Nonetheless, Foucault distinguishes his criticism on capitalism from Marx’s by pointing out that Marx’s criticism is grounded on the notion that the employee as labor-power is evaluated solely on its wage as a capital – thus the employee is perceived as a quantitive object rather than a qualified one8. That is what validates Marx’s criticism, the premise that the labor-power is a subsequent muted product of the market forces to which he is subjugated. Thus the employee stands on the same par with commodities and therefore reduced or objectified into an exchangeable quantitive object under the hands of those who rule the means of production. We should pay attention to the fact that Foucault’s notion of human capital as a qualitative object bears a significant ambiguity. On one hand, the employee is described as an object whose evaluation stems from its earning capacities and to which he devotes his life course and at the same time it is qualitative. The qualitative predicate emphasis the subjectiveness of man, it implies and grounded on its genuine inimitableness as a creature of infinite possibilities. This ambiguity bears the root from which we departure to inspect Cockayne’s critique. The deception that is rooted in the ambiguity that Cockayne claims for, should not result in higher degrees of social justice as it falsely presents, but on the contrary. If Cockayne is right, we are not expected to witness higher degrees of social mobility, greater job opportunities but rather “further fragmentation of society by divisions of class, a transition from a society based on individual ownership to one based on the demand for access” (Cockayne, 2016, p.79). Cockayne transplants Marx’s determination of social classes into the context of the sharing economy and infers that the future may bear two social classes – ones that are able of impregnable and boundless access to other’s resources and ones that are coerced to offer their resources under the restrictions of the digital platforms. However, there are plentiful witnesses that show a different forthcoming picture. The flourishing market of transactional sharing firms offers an increasing number of options to earn incomes without neither having to bound to employment constraints, nor going through rigid validation processes and nor obligating to a full-time job. This properly addresses traditionally under-evaluated communities on the market such as pregnant and nursing women, students, under-qualified people according to the traditional industry standards, aged people, disabled, people that live in far-distant places and others. All these people may now simply create an account on any of these platforms such as Amazon, Etsy, Uber, Airbnb, Zipcar, and many more and start earning incomes right away regardless of their personal profile, as long as they provide a service that meets the market demand. Moreover, the sharing economy opens new doors to social-economic classes, who could formerly only sell their labor power for a wage, to participate in the market and become investors and assets owners overnight. As Sundarajan (2018) points out, “over a million Airbnb hosts now own most of the capital that would have been concentrated in the hands of the shareholders and franchisees in hotel chain” (Ibid). Whilst not a while ago the possibility to own and employ assets into the market such as hotels, taxies, guest houses, and shops was the privilege of the wealthy, it is now a mundane practice launching an online business with Amazon and selling homemade goods, listing your spare room as a micro guest house, using your own care to drive someone else and even renting your screwdriver on a daily basis. The digital infrastructure enables the optimization of coordination between the client and the service provider to a degree that many more transactions are now worthwhile, this aids to meltdown “the traditional gatekeeping mechanisms” (Ibid) which obstructed workers to become investors, owners and above all, entrepreneurs. we thus witness an expected increase in the social mobility. Lower-income consumers who could not formerly afford to purchase a car are now able to access car as a service in the peer-to-peer model of car rental and driving sharing markets10, more people are now able to travel worldwide due to enormous lower cost hosting offers by Airbnb and even free of charge by platforms such as Couchsurfing. Costly products such as professional media equipment can be accessed now by lower-income consumers due to peer-to-peer models of short-term rental platforms. This all leads to an increase in consumption without having to increase the rates of industrial and mass production which also reduces pollution and saves energy by optimizing the use of existing resources. Not only that the evidence mentioned above refute Cockayne’s concern regarding the formation of separate distinctive new social classes, but it also seems that the claim that the traditional industry is imposed to a threat of extinction is also overstated. It seems that the sharing economy plays a contemplative role in the market in most cases rather than substitutive. A study by Georgios Zervas (Zervas et al.) about the impact of Airbnb on the hotel industry in Texas shows that a 10% increase in Airbnb listings associated with a 0.34% decrease in the traditional hotel industry11. A map of Airbnb in New York, provided by Airbnb illustrates the spatial spread of Airbnb listings versus conventional hots and shows that five out of six Airbnb listings are located outside midtown Manhatten whereas most of the conventional hotels are located inside the midtown (Ibid). But the picture is not the same in all fields. Uber, for example, has already lead to a decline of about 30% in the price of taxies in New York City (Ibid) . Since Uber is offering the same service as taxies, it is more likely that it imposes a higher threat over conventional taxy companies. However, this is in fact what capitalism is all about – a competition in which some companies clear the way for the good of new ones that offer better services at lower prices. Now that we have seen various implications of the on-demand economy ambiguous discourse in both the broader context of the social digital media and the transactional peer-to-peer model, we allow to prudently suggest a converged model on top of either Cockayne’s critique and its disputants. On the basis of the conclusions of the social digital media discussion, we may separate the impact of the ambiguous discourse into three social groups – the first group consists of the people who fall prey to the deceptive promise of authentic sharing. They unconsciously and innocently share large portions of their personal experiences and thoughts on the social digital media and thus take a risk of higher rates of social vulnerability while playing to the hands of those who operate these platforms to gain private revenues. In respect to transactional firms, these people also might be subjected to excessive and dependent use by leaning too much on these platforms as a sole source of income which results in high rates of vulnerability and more likely to be carried out by a superfluous devotion of oneself for the sake of gaining incomes on the expanse of other aspects of their lives (in respect to the Foucauldian notion of human capital). As long as it concerns this group, Cockayne critique in its broader sense, including Marx, Deleuze and Foucault’s, succeeds to describe many of its social and psychological aspects. The second group consists of people who make deliberate, moderate and intentional use of the sharing economy and social digital media. They share on social media but with a contextual awareness that reflects on either maintaining a restricted social circle or avoiding too personal engagement with their audience. Likewise, this group makes partial and independent use of the transactional sharing firms as an additional source of incomes alongside their daily jobs and wise use as consumers in order to gain greater access to locked resources with a less costly price. This group is more likely to have better social mobility chances due to their deliberate and aware use though they might also pay the price and play into the hands of the platforms’ owners but into a win-win state of affairs. The third group consists of professionals. This group, as previously stated, comprised of marketers, politicians, musicians, business owners, micro-entrepreneurs and anyone else who strives to gain a profound knowledge of the subtle psychological implications of the sharing discourse and actual experience in its methodologies for the sake of their own good. These people are in the course or already succeed to unleash the locked potential of the sharing economy and social digital media which implies not only that they are not subjected to be exploited, disciplined or deceived as ‘dividuals’ but on the contrary, they successfully employed the discourse to their own interest and become capital and business owners, gained a high social status. Nevertheless, they might not have succeeded to escape Foucault’s critique due to their excessive devotion to the project of self-entrepreneurship as homo economicus, albeit to some degree gaining economic freedom is not out of reach. To conclude, it is not the mere refutation of the Marx-Foucault-Deleuze-Cockayne tradition of critique that bears the foremost significance of this discussion, rather it is the positioning of the critique within a broader picture that manifests a more complex picture of the theory by observing empirical witnesses of the current course in the market. We could at least successfully refute Cockayne’s dystopian picture of the rigid distinction to two social classes for the good of a diverse social engagement that involves higher rates of social mobility. Moreover, we have outlined two social groups each of properly correspond to each of the opposite theories. The first group properly corresponds to Cockayne’s critique, the third group properly correspond to both neoliberal and the sharing economy proponents. Whereas the second group, which in my opinion, consists of the vast majority of the population, comprises out of a mixture or a delicate equilibrium between the critique and its confutation in a way that is not eliminating each other but rather, from my standpoint, enhances aspects of individual freedom, social justice, opportunities equality and optimization of production. Benner, Cris, Building Community-Based Careers: Labor Market Intermediaries and Flexible Employment in Silicon Valley. University of California, Santa Cruz. Cheney-Lippold, J., 2011, A new algorithmic identity: Soft biopolitics and the modulation of control, Theory, Culture & Society, 28, 164–181. Deleuze, Gilles, 1992, Postscript on the Societies of Control, In October, Vol. 59, MIT Press, pp. 3-7. Foucault, Michel, 1975, Discipline & Punish: The Birth of the Prison, 1995, Trans. Sheridan, Alan.Random House Inc, New York. Foucault, Michelle, 1978-89, The Birth of Biopolitics, Lectures at the College de France, Translated by Graham Burchell, Published by Palgrave Macmillan. Gillespie, T. 2014. The relevance of algorithms, In T. Gillespie, P. J. Boczkowski, & K. A. Foot (Eds. ), Media Technologies (pp. 167-193). Cambridge, Massachusetts: MIT. John, N. A. (2013). Sharing and Web 2.0: The emergence of a keyword. New Media & Society, 15(2), 167-182. Marwick, A. E., & boyd, d. (2010). I Tweet Honestly, I Tweet Passionately: Twitter Users, Context Collapse, and the Imagined Audience. New Media & Society, 20(10), 1-20. Michael C. Munger, 2018, Tomorrow 3.0, Transaction Costs and the Sharing Economy, Cambridge University Press, An Amazon Kindle digital copy. Sundarajan, Arun, 2016, The Sharing Economy, The End of Empolyment and the Rise of Crowd-Based Capitalism, MIT Press. An Amazon Kindle digital copy. 1“the economy is constitutively interwoven with other not-specifically economic phenomena”, Cockayne, 2016, p.74. 2John, N. A. (2013) , 167-182. 3 That is my inference, not the author’s. 4Although Marwick does not outline any empirical study around this, he does list various use cases all of which users exercise some degree of awareness of the social context (See ‘imagining the audience online’). 5Gillepsie, for example, describes how the big brands such as Google, Amazon and Facebook strive to ground their public legitimicy by claiming to lean on an objective machine algorithm which is free of human intervention. More on this topic, see Gillespie, T. 2014. Chris Benner, Building Community-Based Careers.